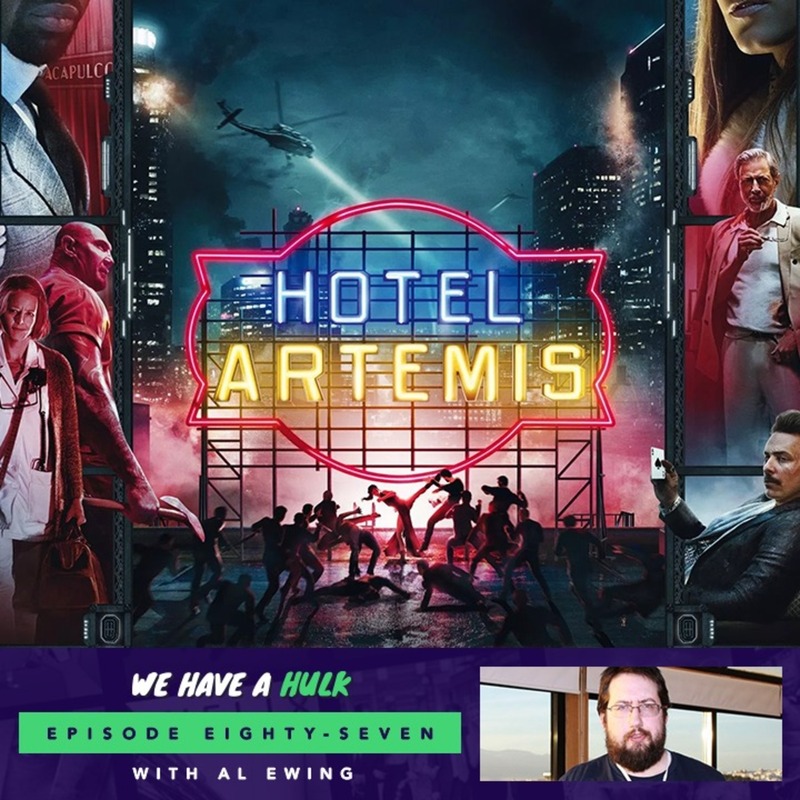 In this weeks episode we review the star studded Hotel Artemis! We’re also joined by the the hugely talented comic book writer Al Ewing, who we had the chance to interview at Leamington Comic Con. And in this weeks Hulk Topics we discuss which dystopian futures we’d pick to live in from films, TV shows or books! 00:40:27 – 00:50:34 – Hulk Topics – which dystopian future from TV, films or books would you live in?